Samsung is really starting to invest in Galaxy Gear marketing, knowing that the reviews and feedback they are getting for this new gadget are not really impressive. Samsung’s new smartwatch might become a failure in the company’s history, but at least we will have something good related to it: the commercials. 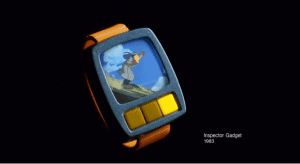 Samsung launched on Youtube 2 commercials that make the connection between old and famous SCI-Fi movies (like Star Trek, Inspector Gadget and The Jetsons) where smartwatches were only a fictive idea and today’s technology that allowed them to give us the first real smartwatch. There are 2 videos, the first one being called “evolution” and the other “a long time coming”. Sit back and watch a couple of very good commercials for a not so good product..